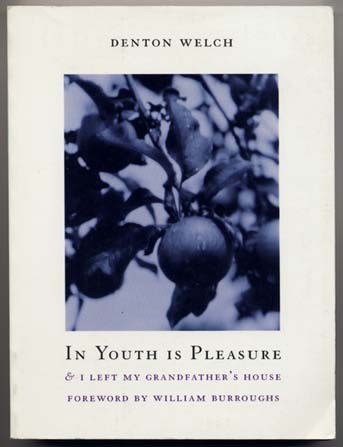 “In Youth is Pleasure & I Left My Grandfather’s House” by Denton Welch is one of those books which you need to have time to reread the minute after you have finished reading it. It is one of those books that demands to be reread, I think. It rather compels you to reread it. Some books have that effect on people and those books are few and far in-between. This is one of them. I discovered this book through The Novel Cure Reading Challenge and I cannot thank Susan and Ella enough for including this in their book. The book while about adolescence and growing-up is also sometimes a meditation on the world around us – on how we choose to see and behave in it and how it really is. To be very honest, it is but alone the descriptions that make this book what it is – a classic. Welch takes the ordinary and creates something extraordinary out of it. A simple scene becomes magical and the reader is in for a treat. There are very few writers who are able to manage that. “In Youth is Pleasure” is definitely about coming of age, however it is also about life and all that it has to offer and doesn’t. Orville Pym is a character like none other than I have come across in fiction in recent times. It is a story of his one summer and how it changes him and the way he sees things and people. Pym is full of despair and yet there are moments that redeem him quite suddenly. As a reader, I did have a tough time sometimes reading this book, however it was only initially. Later, it was a breeze. Most people have not heard of this gem of a book and that needs to change for sure. It is a book that needs to be cherished and savoured like fine wine. I will also go so far and say that it is a book which you will never forget after having read it. This entry was posted in Books, Exact Change, Literary Fiction, Review, The Novel Cure Reading Challenge and tagged adolescence, coming of age, Denton Welch, In Youth is Pleasure & I Left My Grandfather's House, The Novel Cure, The Novel Cure Reading Challenge on October 27, 2013 by thehungryreader.